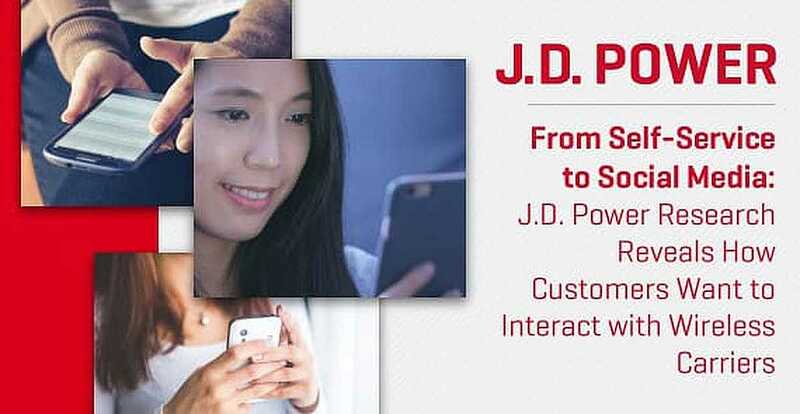 In a Nutshell: Consumer research leader J.D. Power recently released two studies on consumer satisfaction and attitudes toward smartphones and wireless carriers. The studies showed that today’s technology-equipped consumers increasingly use their smartphones to research products and make purchases. The surveys also identified social media and online videos as the preferred options for resolving issues and answering questions. At the same time, a significant number of customers still value an in-store experience with a courteous, informative associate. T-Mobile received the highest satisfaction rating among large full-service carriers, and customers with unlimited data also reported higher satisfaction, in general. A new J.D. Power study illustrates just how much on-the-go shoppers rely on their mobile devices. The consumer respondents in the study indicated they preferred to use their smartphones to purchase smartphones and other wireless services. The J.D. 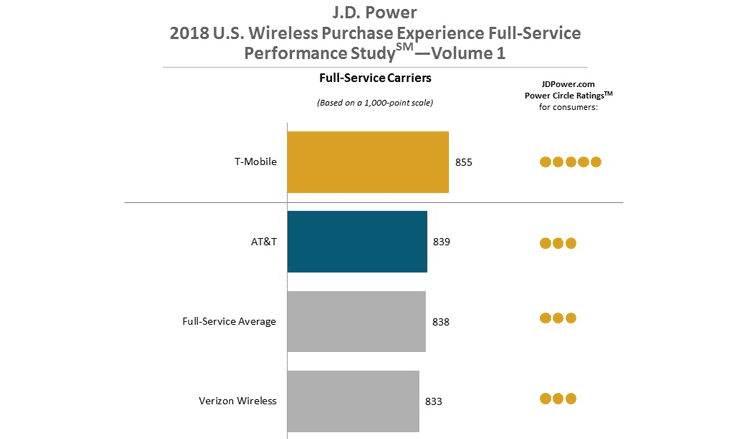 Power 2018 US Wireless Purchase Experience performance study, and a companion J.D. Power 2018 Wireless Customer Care performance study, provide insight on customer satisfaction and attitudes in the ultra-competitive mobile phone market. Peter Cunningham spoke with us about the results of J.D. Power’s latest study of wireless carriers. The 13,344 wireless respondents in the Purchase Experience survey reported the highest overall customer satisfaction (857 out of 1,000 possible points) when purchasing new wireless devices using their smartphone. The study on customer care bolstered that point. Responses from more than 15,000 wireless customers who had contacted a carrier’s customer care department in the past three months showed social media and online videos as the preferred options for resolving questions. At the same time, customers still valued an in-store experience with a helpful, educated associate. The overall satisfaction among customers purchasing online was highest among those who had visited a store before making a purchase. Customers who preferred to purchase devices in-store valued the personal experience of receiving an explanation of the latest technology, advice on how to manage data usage, demonstrations of device operations and features, and details on what billing statements will include. Peter said the two studies show that carriers need to remain focused on customer satisfaction to help them stay competitive. The findings also highlighted valuable takeaways for the larger retail industry. Consumer satisfaction is highest with businesses that have informative and friendly in-store associates, and self-service customer care is preferred. The Purchase Experience performance study measured six factors in priority order: store sales representative, website, offerings and promotions, phone sales representative, facility, and cost of service. Respondents answered a total of 10 questions, each ranking their carrier on a 1-10 numerical scale. The study also divided rankings into three categories of carriers: full-service, non-contract full-service, and value. The average score for full-service carriers was 838. Peter said J.D. Power data scientists concluded there was a statistically significant difference that separated T-Mobile from AT&T, which received the highest rating last year, and the rest of the carriers. He said J.D. Power also sees more respondents who are T-Mobile customers, indicating that the carrier’s growth in the market is outpacing its peers. Further, T-Mobile has a growing customer base among two key demographics: millennials and ethnic minorities. The average score for full-service, non-contract carriers was 851. Consumer Cellular (866 points) was the only non-contract, value carrier to receive a Power Circle rating of 5. Consumer Cellular also ranked first and received the highest Power Circle rating in 2017. Net10 (831 points) and TracFone (828) received Power Circle ratings of 3 while the average score was 834. Today, wireless customers are using their smartphones to send messages, upload and browse photos and videos, search online, and run apps. But those activities can burn through data quickly, which is especially frustrating for people who have plans that cap their usage. Not surprisingly, the 2018 Wireless Customer Care survey showed that respondents with unlimited data plans reported higher satisfaction — despite the fact they were paying more to receive that service. The findings revealed that customers with unlimited data plans experienced fewer problems with data, messaging, calls, and overall network performance than those with data allowances. Customers with unlimited data had, on average, 11 overall network quality problems per 100 connections, while customers with data caps had an average of 13. J.D. Power is a global leader in consumer research, and its annual surveys of wireless customers provide significant insights for carriers. Peter said the firm surveys about 60,000 US wireless customers each year, and the findings are the results of a robust analytical study. 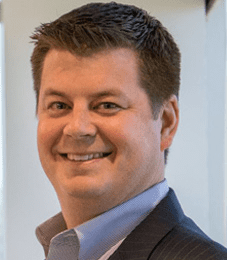 The major takeaway, he said, is that carriers have to do more to enhance the customer experience to survive and thrive in an ultra-competitive market. The wireless industry has become so saturated that companies are all fighting over the same customers, which often means trying to steal them from each other. Since the industry is not seeing much growth, in terms of new customers or subscribers, companies are trying to outpace each other by making themselves more attractive to consumers.